I happen to have three of Verizon’s LTE devices. The first was the Pantech UML290which I am using on my MacBook Air. I recently ordered a Pantech UML290 from Verizon to test out their LTE service. I was skeptical to say the least about speeds being reported from other users. I live just north of New York City and I achieved downloads speeds up to 25Mbps and upload speeds up to 8Mbps via Speedtest.net. I have had data service with AT&T for several years. With the speeds I am getting with Verizon’s LTE service, I canceled my data service with AT&T. I am still holding out for a LTE Hotspot device, I will replace my Pantech device once that arrives. For now enjoy the screencast of my initial speed tests. I decided to add a second hard drive to my 17” Unibody MacBook Pro. To do this I purchased an OptiBay adapter from MCE Technologies. This adapter replaces the built DVD drive in the MacBook Pro. I rarely use it so it is no big loss to remove it. In doing so I gain another 500GB of storage bringing my total storage to 1TB. MCE Technologies also sells an enclosure which allows the DVD drive you removed to be used as external USB drive. I happened to purchase the OptiBay while they were giving away this enclosure for free with purchase. 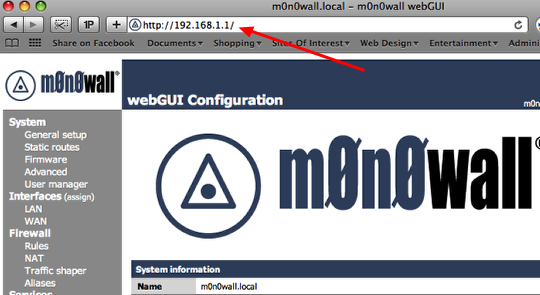 This tutorial covers the post installation basic configuration of Monowall (M0n0wall). 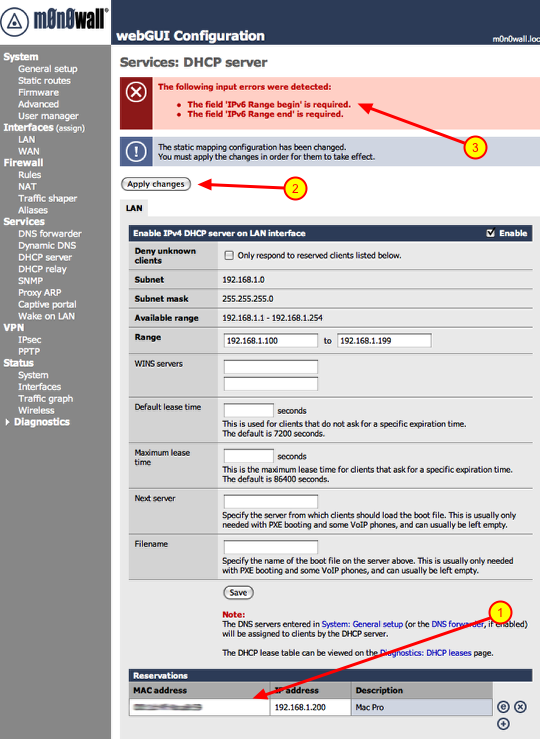 This segment covers changing the default password, setting the time zone of the firewall. 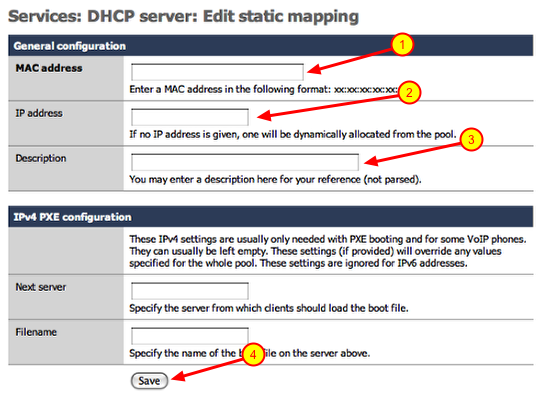 It also covers setting static IP address mappings via DHCP as well as configuring port forwarding. This is the second part in a series of tutorials which will range from basic configuration of the firewall to more advanced topics such as IPSEC tunnels and VPN clients. 2.) Type in a new password in both boxes. As a general rule of thumb you should you upper and lowercase characters as well as symbols. 3.) Select the time zone you are in. 4.) Click the ‘Save’ button. After you click save the firewall will prompt you to log back in with the new password. If you are going to access any devices on your local network via the Internet you need assign them static IP addresses. This is important if you’re going to log into your workstation remotely via a service like ‘Back To My Mac’, connect to a SlingBox remotely or play video games via a PC, Xbox360 or a PS3. This will become clear when we start configuring Port ‘Forwarding’. So let’s get started on assigning IP addresses to these devices. For this example we are going to assign a static IP to the workstation connected to the firewall. We will need to know the MAC address of the device, this is the physical address of the network interface. On some devices you will see a sticker which states the MAC address of the device, on others you will have to go into a configuration or information screen to gather that information. The MAC address will be in the following format ##:##:##:##:##:##, it will be a combination of numerals and characters. On a Mac you would click on the Apple logo on the menu-bar, go to ‘About This Mac’, ‘More Info..” and click on ‘Network’. You will see the different available network interfaces, click on the network interface in question and you will see the MAC address of the interface. So now that you have the needed information, lets proceed. 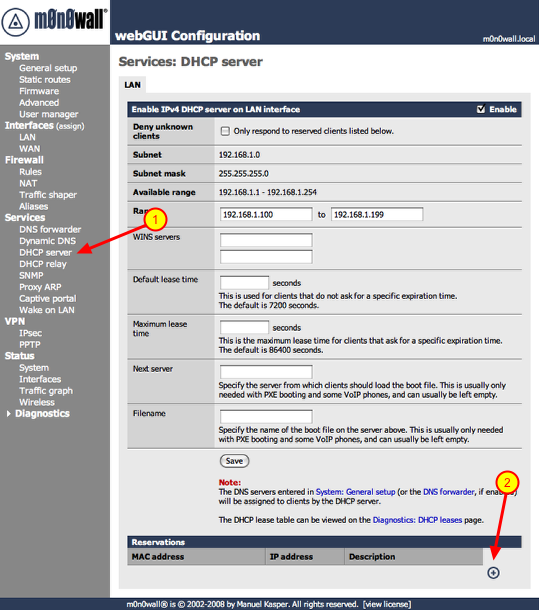 Also the static IPs have to be outside the range of IPs given out by the DHCP server. The default range is 100 – 199, keep that in mind. 2.) Enter the IP address you would like to assign to the device. 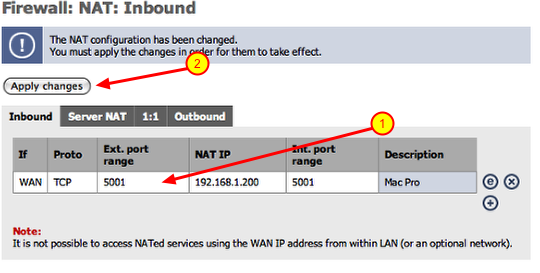 (i.e.. 192.168.1.200) Make sure the IP address falls within the range of your local network. 3.) Enter a description for the device you are adding a static mapping to and click save. Repeat these steps for every device you need to add. Once you are done continue to the next section. 1.) You will notice your new reservations listed below. 2.) Click the ‘Apply changes’ button. 3.) If you are installing 1.3 version you will see the above error. This is a bug in that version, it will be fixed in the next revision. **If you do get this error after clicking ‘Apply changes’, you need to reboot the firewall. To do that click ‘Reboot system’ under the ‘Diagnostics’ section. Once you do that the changes will take affect. 8.) Click the checkbox: This will automatically create the firewall rule you will need at the same time. 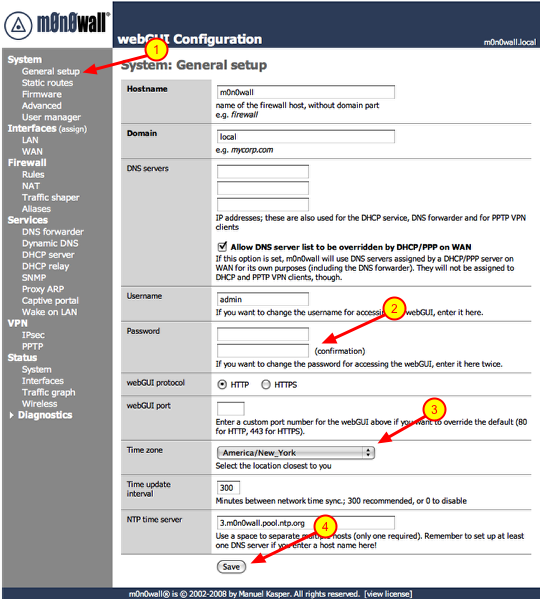 Repeat these steps if you have multiple ports you have to open for a device. Also repeat these steps if you have multiple devices to add. We are done with this segment of the tutorial. In the next installment we will discuss Dynamic DNS services and VPN Tunnels (IPsec Mobile, PPTP). This tutorial covers the installation of Monowall (M0n0wall) onto a compact flash card utilizing a Mac and assembling the firewall. 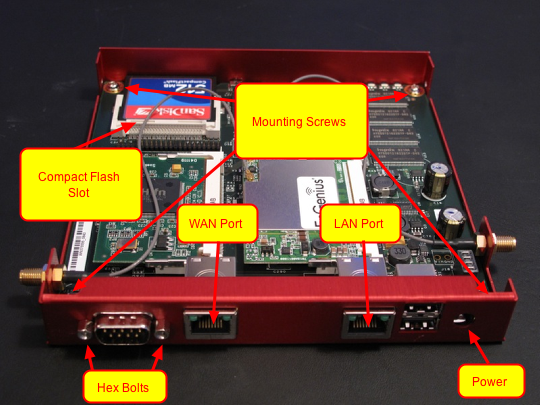 The firewall is being built utilizing an ALIX embedded system. This is the first part in a series of tutorials which will range from basic configuration of the firewall to more advanced topics such as IPSEC tunnels and VPN clients. Visit Monowall’s website and download the embedded image file for ALIX. Below is a link to the appropriate page. Place the file you just downloaded onto your desktop. Insert a compact flash card into a card reader attached to your computer, a 256MB card will do just fine. Open up ‘Disk Utility’ which is located in the ‘Utilities’ folder under ‘Applications’ on your boot drive. Select the Compact Flash card you inserted on the right side. Make sure that you select the right drive, double check to make sure the size matches the card. 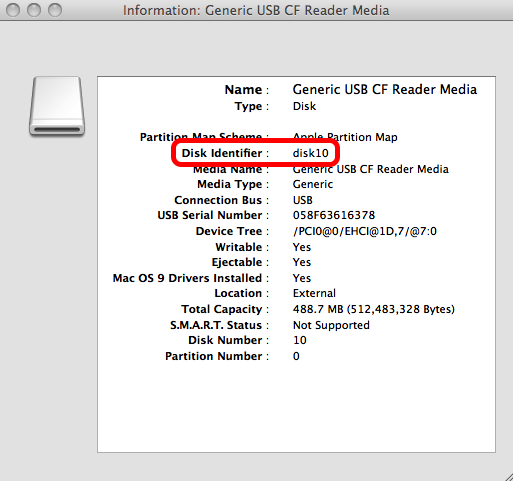 Be very careful, if you select the wrong drive you could wipe all the information from a hard drive. 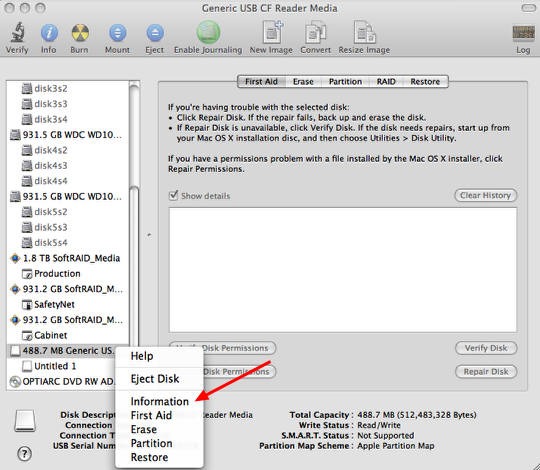 Right-Click on the drive and select information. 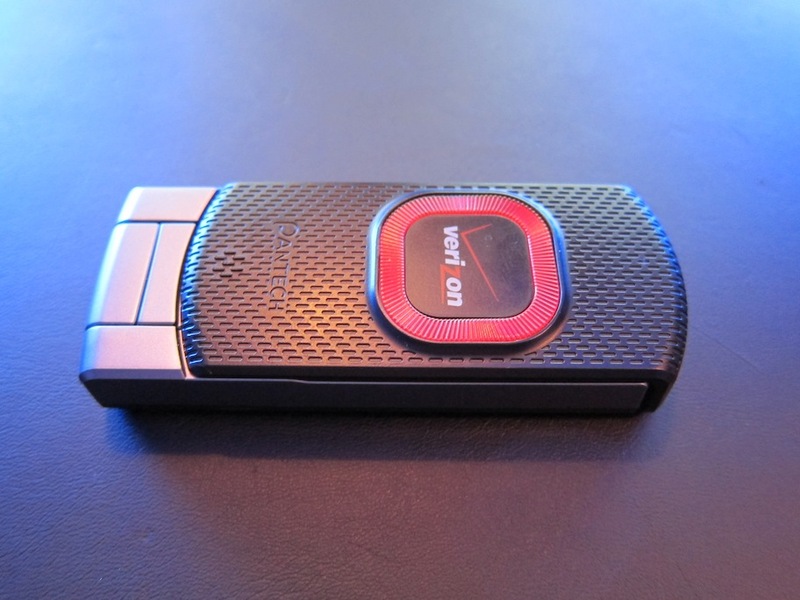 Jot down the the ‘Disk Identifier’ information associated with the drive. This number will vary on your own system so do not use the information listed above. Writing the wrong information down could result in one of your hard drives being wiped so pay very close attention. You will need this information for the next step. If there is a partition on the Compact Flash Card it needs to be unmounted. 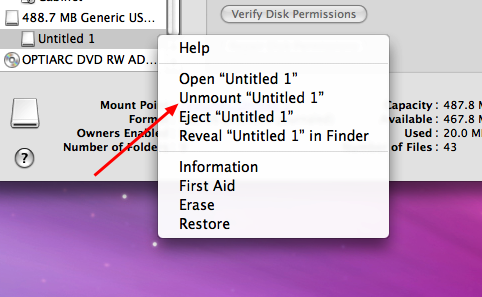 Right-Click on the partition listed underneath Compact Flash Card and select ‘Unmount’. You should receive a message as displayed above. If you receive a message that states the resource is busy, it means that you did not unmount a partition on the Compact Flash Card. Please go back to the previous step and unmount the partition. Remove the the Compact Flash Card from the card reader and insert it into the card slot on the ALIX board. Do this before you install it into the case as it will block the slot. This would also be good time to install any add in cards you might have into the mini-pci slots (wifi, vpn accelerator) Remove the hex bolts on both sides of the serial port, otherwise you cannot slip it into the case. Slide the board with the network ports going in first so they slide into the cutouts. With that inserted screw in the board to case, followed by reattaching the the hex bolts on the both sides of the serial port. Put the cover on the case and screw it in place. Thats all there is to it, pretty simple wouldn’t you say? This information is case sensitive, make sure you enter everything in lower case. That is it for the first part of the tutorial. 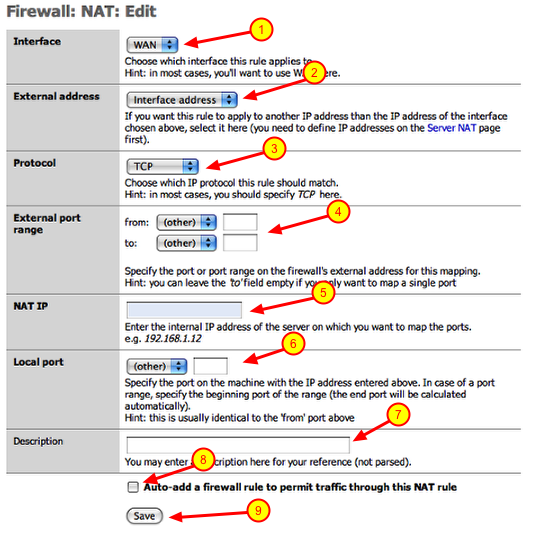 The next tutorial will walk you through the basic configuration if the firewall. Subsequent tutorials will discuss more advanced features, such as creating tunnels between two remote firewalls.